A complete solution for harmonic filtering that meets every harmonic standard around the world. Can be operated as a displacement power factor correction and load balancing device independent of or in conjunction with harmonic mitigation. Communication: 4 dry (voltage free) contacts to monitor status from remote location; Modbus TCP/IP or Ethernet IP. Anywhere nonlinear loads are present: water/wastewater facilities, HVAC systems, oil & gas platforms, petrochemical plants, port cranes, mining, pharmaceuticals, pulp & paper, automotive plants, all-electric ships, wind mill and solar farms, steel mills, plastic extrusion plants, and more. 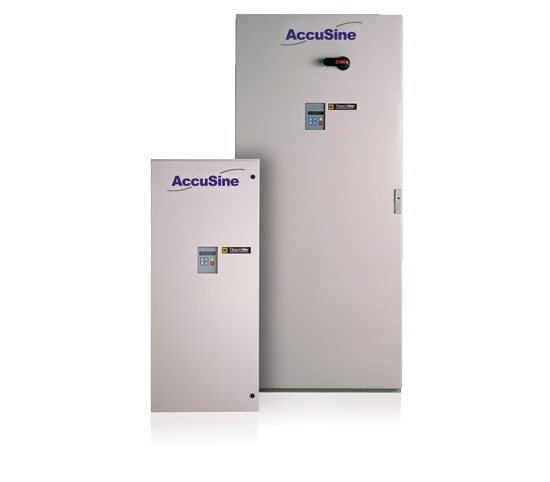 Stop voltage sags and flicker due to load current fluctuations (VAR compensation): Ball mills, shredders, arc welders, arc furnaces, hard to start AC motors, and more.